The restaurant industry in Canada generates upwards of $80 billion, equating to about 4% of total economic activity in the Great White North. Further, Canadian restaurants employ more than 1.2 million people – about 7% of Canada’s total workforce. That’s one big piece of pie, and significant social responsibility on the shoulders of restaurateurs and business owners. Luckily, Restaurants Canada notes going out to a restaurant is a consistent #1 on the list of preferred activities to do with family and friends; that pie is only going to get bigger, and with a bigger pie, more and more businesses will want a piece. Renovating your restaurant is tricky business. Existing customers have come to enjoy and expect a certain aesthetic and energy from your business, not just the food. Dining out is just as much about the experience as it is the grub. There’s a fine line between overhauling your space, and renovation ideas that allow your creativity to shine through. To keep a restaurant profitable, the business must remain open, and provide great service through the renovation process; but it can be done. 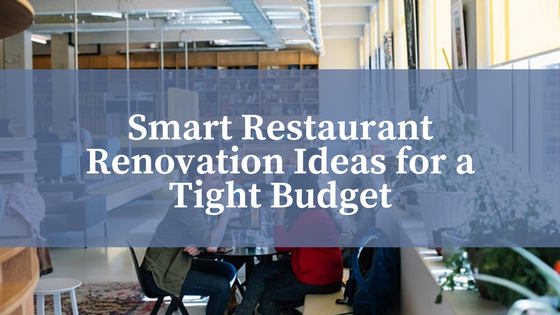 In this post, we’ll outline some of our favourite smart restaurant renovation ideas designed for a tight budget. As they say, you don’t get a second chance to make a first impression. Reworking your restaurant entranceway is an easy way to re-introduce and freshen up the initial impression your existing and prospective customers have of your business. Businesses can inexpensively reconfigure a space by some pretty simple measures – like cleaning up the parking lot, for example. Rid the grounds of cigarette butts, litter, and clutter to not only boost your overall curb appeal but invite guests into a clean, fresh space. Take to landscaping your walkways and entrance with large planters of crisp greenery and bright flowers; alternatively, open up your entranceway to showcase the height of the foyer while installing new dramatic lighting to spruce up the atmosphere. Taking pride in the first impression will not only prepare your guests for what to expect inside but helps get them in the door in the first place. Like all industries, restaurateurs need to form a deep understanding of whom they are trying to sell their products and services to. Marketing and targeted demographic information are part of the very fabric of your restaurant business, and without knowing who, when, and why your customers come to your establishment, you’ll forever by left guessing how to better engage them. Invest in narrowing down who your ideal, and most profitable, target market is – and discover new ways to not only attract them back to your business but convince them to bring their friends with them. This info will dictate how you can move forward with the right renovations. Let’s imagine that you find your ideal customer is a 24-year-old recent College grad, equally distributed among genders, having a distinct interest in local food, their impact on the environment, and craft beverages. Maybe they have disposable income of about $400/month. With this info, you can accurately begin to tailor your renovations to cater to engaging this qualified demographic. 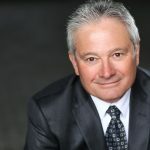 That buyer persona likely won’t be interested in pre-packaged frozen pub fare and corporate menus. Instead, they’ll enjoy the interaction between customer and kitchen, and literature that outlines your restaurant’s commitment to sourcing local foods and reducing the carbon footprint of your space. Therefore, invest in low-energy consumption lighting fixtures, recycled/earthy materials to upgrade the bar and reservation desk, and a glass partition to allow them to see your chef’s hard at work. Straight up – no one wants to enter a dirty, smelly bathroom. Especially in a facility that serves food. Not only is a dirty and smelly restroom likely a health-code violation, but it’s a space that beckons serious attention from business owners. The state of a bathroom is often a deciding factor in whether or not a restaurant patron will return. Add some glass to make the room feel larger, invest in modern low-flow faucets that look great and save water at the same time, boost the level of light in the space to make it seem brighter and paint the space with a crisp white paint to help bring about feelings of sanitation, cleanliness, and hygiene. We always eat first with our eyes. Any renovation project is fully dependent on a fresh coat of paint. Changing or touching up your painted surfaces is one of the easiest, cheapest and most effective ways of making a big impact in a space. Consult your local paint shop and ask about what types of paint are going to hold up to the physical environment of a restaurant, spills, heat, and customer traffic. Then consult a trusty colour theory booklet to help you pick the perfect hue that psychologically encourages people to feel happy, relaxed, and hungry. If you have a smaller space that’s feeling a little cramped, consider a light and cool colour like a cream white, light green or a lightened yellow. Alternatively, if you have a huge space that feels disconnected and vast, try darkening up the space with a warm colour, like browns, greys and dark greens. Green can inspire feelings of health and general well-being, while yellow promotes feelings of high spirits and happiness. Blue colours generally do not complement food well but can pair well with warm colours and materials as part of your storefront facade or entrance. Let the outdoors in! A massive number of clinical and psychological studies conclude that people are intrinsically linked to the outdoors, and therefore respond favourably when we’re permitted to engage with the natural world. For an inexpensive renovation idea that creates a big impact on a restaurant, punch a few holes in the roof and boost the amount of natural light that is allowed to penetrate the interior space. Natural light not only allows you to save a considerable chunk of cash on energy bills – up to 15% according to the US Department of Energy – it supports positive effects on human health. Natural light increases human comfort, productivity, and happiness. It’s also good for resale value; in a study published by LRC researchers, real estate with fewer windows can fetch about 20% less than spaces with ample windows and light. Outside, don’t let your available space go to waste. If you have the space, turn an outdoor location into a licensed patio to increase the seating capacity of your establishment and give your patrons an opportunity to take in the sunshine. Renovating your restaurant doesn’t mean having to spend an arm and a leg – as Design Builders, we can help to make sense of valuable, efficient renovation ideas that boost sales, workplace satisfaction and pride of ownership.